By EDWARD ROTHSTEIN - "The New York Times"
Photos by Matt Roth for "The New York Times"
Read the FULL ARTICLE & SEE ADDITIONAL PHOTOS on "The New York Times" Web site. ANNAPOLIS JUNCTION, Md. 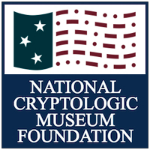 — Was the National Cryptologic Museum designed using a code of some kind? Something perhaps meant, cryptically, to mask its character and significance? Something that can be deciphered only by those familiar with mysterious organizations like the Black Chamber? This is, after all, a museum created and run by the National Security Agency, a peculiar governmental body: Its existence was once scarcely acknowledged; its 1952 founding documents were once completely classified; and its finances were once buried deep in a “black budget.” But with Edward J. Snowden’s release of stolen classified files, along with reportorial histories by James Bamford, the N.S.A. is now partly revealed; it is popularly portrayed as an agency unhampered by oversight, secretly probing every aspect of our data-saturated lives. Yet here, just down the road from that agency’s black-box buildings with their thousands of workers and immense parking lots, we come upon this quaint, slightly old-fashioned, flat-topped structure that looks like a converted motel, which it is. And when you enter, instead of facing evidence of untrammeled technological power, you are greeted with a rack of informative booklets and children’s activity sheets, almost as if invoking tourist brochures from the building’s previous incarnation. The quaintness continues: The first exhibit, about “hobo communication,” is a model-train-size diorama of a small New England town. Is “hobo” perhaps the code word for a data-mining project that tracks smartphones? Does it refer to a cipher machine like Enigma? No, it means what it says: When hobos used the rails to travel the country, they would scrawl warning signs to fellow travelers on walls and walkways. A jagged line meant “barking dog here”; a circle with an X inside meant “good place for a handout.” Hobo code. We press buttons and see lights go on where the signs appear. Maybe there really is a bit of agency coding involved, too. Just as when it opened in 1993, this museum is the agency’s only public face, so the hobo exhibit may be meant, in part, to disguise or humanize the caricature. It also sets the tone for the museum, which is stylistically dated, slightly ramshackle and cramped. But it is also thoroughly engrossing, offering a compelling survey of American cryptography. It is redacted, of course, and its content deliberately dated. You never get close to anything redolent of classified technologies or Snowden-esque controversies. And you never quite shake the feeling that maybe if you touched a wall sconce, the cabinets would pull back, revealing a cyberwarfare lab. But such fantasies quickly fade, because the material here spurs the imagination in so many other directions. These artifacts are as various and seemingly miscellaneous as the markings on an encoded document. Here, in 13,000 square feet, is a 16th-century copy of the first published book on cryptology, Johannes Trithemius’s “Polygraphiae,” along with a cipher disc used by the Confederacy during the Civil War; children’s school notebooks used by the Vietcong to cloak intelligence on fighting forces; and a heliograph, whose maneuverable mirrors were used in the First World War to flash sunbeams in Morse Code patterns. There is a portion of the United States Navy Bombe, built by the National Cash Register Company in Dayton, Ohio, in 1943: an early mechanical computer, whose tangle of wires and whirring gears were used to break the German code. There are also, remarkably, two working German Enigma machines, whose intricacies led a generation of Polish, British and American code breakers into intricate explorations, with thousands of lives at stake. You can type on them now and watch the keys light up in a code once thought unbreakable. The museum’s curator, Patrick D. Weadon, noted in a conversation that the museum’s unspecified budget was modest. You feel that, too. Acquisitions, donations and expanding ambitions have led to recently added displays about the Civil and Revolutionary Wars. But over all, the tight space jumbles the dense narrative so you have to unspool it as you maneuver. Yet it works. The museum’s old-fashioned wall-panel style is suited to its theme. Here we see cryptology as a craft, dependent as much on insight as on technology. “They served in silence” reads one memorial to fallen agency employees, but in a series of displays, some silence falls away — at least for the retired or deceased. We see portraits of brilliant linguists who could learn languages in a weekend, along with images of female and African-American analysts whose genius also allowed them to break constraining social codes. The historical examples of cryptologic invention are remarkable: During the Revolutionary War, a letter sent by the British general Sir Henry Clinton seemed to be supporting a particular military maneuver, unless you placed an hour-glass-shaped cutout, whose use was prearranged, over the page: The message showing through means just the opposite. Activities for children invite similar exercises, but this is no game. The pivotal 1942 Battle of Midway might have been lost if the United States hadn’t begun to break Japan’s code; the war in the Pacific could well have ended in American surrender. There is recurring emphasis here, too, on language. We begin to understand coding as an unusual form of translation: It turns sense (the message) into non-sense (the code). The job of decryption is much harder: to discern pattern in the midst of noise, meaning in seeming chaos. 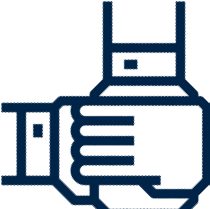 As we approach the present, those tasks become more and more daunting, keeping pace with the technology. We see sections of a supercomputer that was installed at the N.S.A. in 1993: the Ziegler, from Cray Research. It was, we read, “among the most powerful supercomputers in the world.” The piece on display weighs 7,495 pounds. It required a 60-ton refrigeration unit. And how powerful was it? Its processor speed is now dwarfed by a smartphone’s. It had just 32 gigabytes of memory, and its disk storage was 142 gigabytes. I’ll stick with my laptop. What happens to cryptology during 20 years of such transformation? 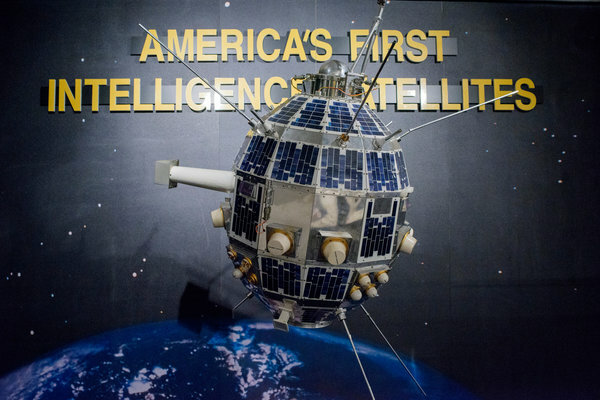 In a gallery devoted to the evolution of intelligence satellites and secure communications, we see the changes in hardware, but it is the processing that becomes extraordinary. And that we can’t see (or are not cleared to). Still, we know enough to imagine what is happening. Contemporary cryptology leaves General Clinton’s cutout and the Enigma’s turning discs far behind. A particular message may not even be the point any longer. The larger challenge is to identify that transmission amid noisy background chatter. And more important than any single message may be the patterns and anomalies discerned as vast quantities of data are churned. A secret in this world might be best preserved by seeming not to be a secret at all. That’s the comfort I take in recent revelations about the N.S.A.’s engorgement on communications data. It may not care much about the isolated case — the individual, say, worried about privacy. The problem is that the quantities of data are so great that anomalies are almost certain. Something may seem to have coded significance when it does not. And that would sweep even the innocent into a cryptographic world determined to discern meaning, even if, on occasion, there is none. To go to the Cryptologic Bytes archives page to see more articles such as this one, please click below on the "Return to List" link.